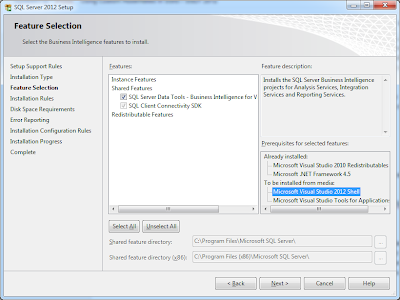 SSIS 2012 / SQL Server Data Tools (SSDT) offers considerable benefits over SSIS 2008 / Business Intelligence Development Studio (BIDS). The UX is much quicker, smoother, feature rich (undo and redo, woohoo! ), and one of the best new features is that we can finally attach the debugger to script components - which has been a bit of an issue in the past. It's not exactly perfect (opening the VSTA environment seems to take a lot longer than it used to, breakpoints are unpredictable, and there are a few little issues surrounding package encryption that I keep running in to), but the improvements are more than welcome, and certainly enhance development.